Calling all bread lovers out there... Bread and pastry lovers like me! 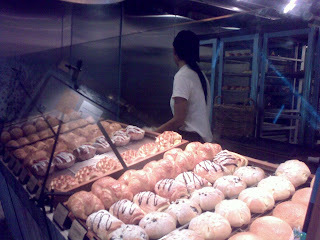 I was in heaven when I walked in to The Bread Shop at Damansara Heights. The beautiful collection of sumptuous bread really blew me away and I was spoilt for choice. 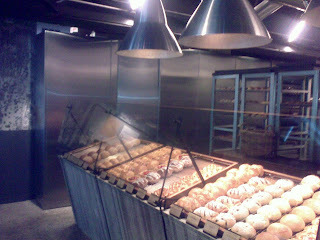 We arrived early in the morning around 830am and the bread / pastries were all ready. 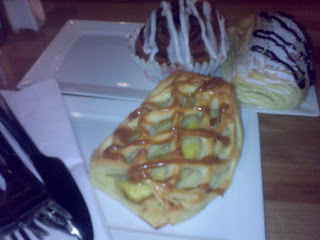 We ordered 3 pastries : chocolate danish, cinnamon swirl, and bananas scotch danish plus a cafe latte and cafe mocha. Wow, I really enjoyed every piece of bread that went into my hungry tummy. I'm so glad to discover this place! The interior is modern chic and simple. They also have all day dining in case you want some hot food. 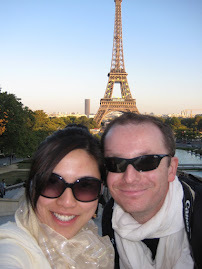 Sigh, brings back memories of Paris and all the yummy bread that goes with it. 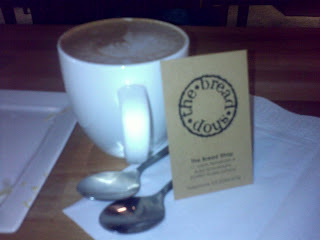 Truly a must try place for bread lovers especially those looking for bread with a twist in flavor. Other stuff they have which I will try next time : custard almond, butter sugar, apple danish, cheese sausage, etc. To give you an idea of the bread and pastry prices, let me share the breakdown of our bill. 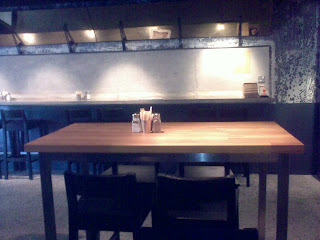 We discovered that dining in they will charge you more because of the service charge. I took away some sausage roll (RM 5.80) and butter croissant (RM2.80). 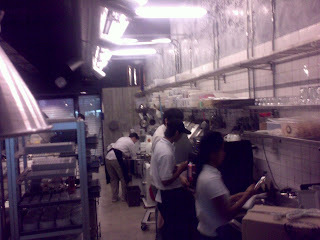 Will surely go back to this place for more pastry and bread tasting. Yummm!